Moose are such an iconic symbol here in Newfoundland, it’s hard to believe they’re actually not native to the island at all. That’s right, moose are not from Newfoundland at all. In 1904, four moose were introduced to the Newfoundland community of Howley as part of a government initiative. It was hoped the animals would be a good source of meat for those working in the then booming mining and forestry industries as well as hopefully attract sport hunters to visit the island. Newfoundland was looking to bring diversity to it’s prime industry cod fishing. 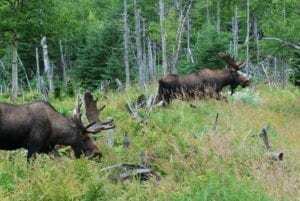 With almost no predators, lots of food, and ideal habitat, these two pairs of moose settled in nicely, growing to a population of 110,0000 today. 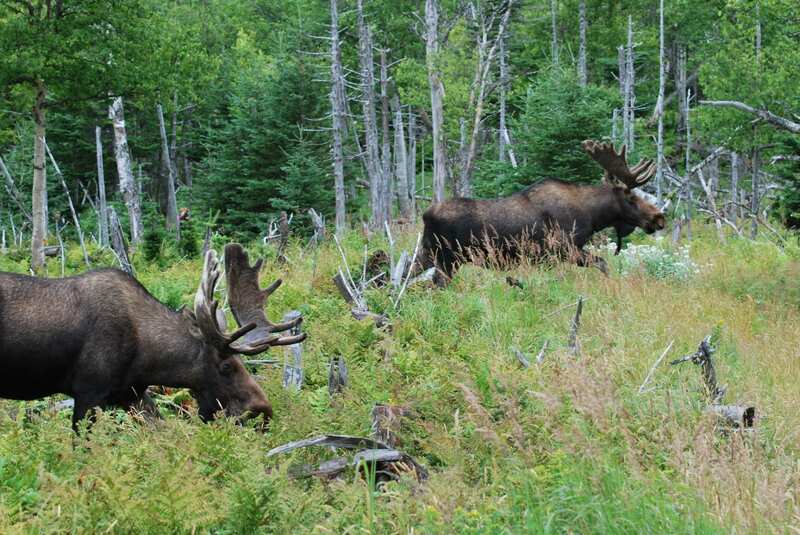 Today moose are a big part of Newfoundland culture and daily life. Most locals have moose meat in their freezer, and moose burgers can be found for sale is restaurants island wide. A local BBQ wouldn’t be complete without moose steaks, burgers, and sausages cooking over an open flame, and moose soup is a staple in the homes of many locals. Because moose live in the wild, their meat is organic, naturally lean, and free of nasty things like antibiotics and hormones. Curious to try moose meat? You’ve come to the right place. You can buy moose burgers and moose steaks at select local grocery stores, and moose burgers are a standard menu item at many local restaurants. You can even buy specialty items like moose bologna and moose jerky (our personal favorite).